Joe serves at Bethel as the Pastor of the Chicago location. He arrived in the fall of 2015, and quickly developed a heart for the people of Bethel. He has spent his entire life in the Chicagoland area, and finds a unique passion and love for the city. He has Masters of Divinity(Mdiv) from Trinity Evangelical Divinity School, and was ordained with the Presbyterian Church in America(PCA) in November of 2017. Is a lifelong Chicagoan who grew up in the inner city and now lives on the northwest side of Chicago. He has been married to Katie since 1969 and they have three children (Gina, Jacqueline and Courtney) and five grandchildren (Nathan, Cameron, Eliana, Timothy and Addison). Dave joined Bethel because of its true teaching of the Bible and the diversity of its congregation, which allows him to make a meaningful difference in his life and in the lives of others. Dave has served Bethel since 1998 in Finance Ministry, Building Ministry, In Reach and BODs (Band of Disciples) Ministries, and was ordained an Elder in 2006. Currently Dave is a Senior Manager at a Chicago Engineering Company. 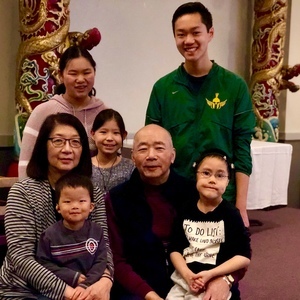 He enjoys spending time with his grandchildren and playing tennis (especially with his wife in mixed doubles). Philamn (Phi) grew up in Potomac, Maryland. He attended church with his family his entire life, but really started to follow Christ in high school. His journey to the Midwest began in 1995 as a freshman at Washington University in St. Louis. It was there that he would meet his future wife, Stephanie. They’ve been married since 2005 and have two sons, Mason and Isaac. After graduating college in 1999, Phi moved to Chicago for a job as a software developer and began attending Bethel shortly thereafter. After 8 years of working for other companies, he decided to venture out with his cousin and start their own software marketing company where he is the VP of Technology. 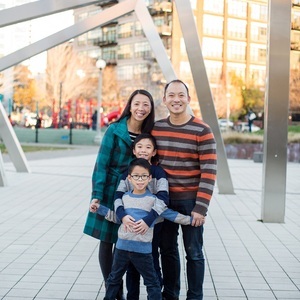 Bethel’s focus on sound teaching of the Word and loving community are key reasons Phi and his family attend the church. In addition to serving as an elder, he plays the bass guitar for the praise team. The Lau family lives in the Bucktown neighborhood of Chicago. 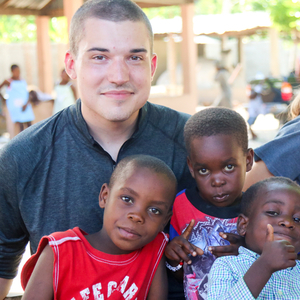 They enjoy traveling, movie nights, hanging out with family and friends, and singing along to Christian radio. 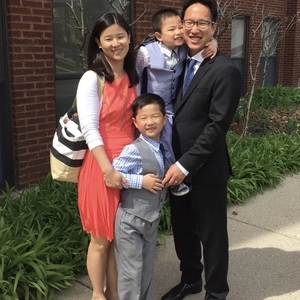 Dave Lin grew up in the western suburbs of Chicago and currently lives in the West Loop with his wife Cathy and two sons Jacob and Logan. Dave has been attending Bethel Christian Church since becoming a Christian at Northwestern University in 1995. Dave met Cathy when she started attending Bethel after graduating from Washington University in St. Louis and got married in 2004. Dave currently serves as one of the members of Finance Ministry as well as serving as captain for the Bethel softball team. He has also been involved in In-reach and BODs ministries and was ordained as an elder in 2018. Currently Dave is a consultant for Quantitative Risk Management where he has been employed since 2007. His wife Cathy is a physician at the Lawndale Christian Health Clinic on the west side of Chicago. In addition to spending time with friends and family, Dave also enjoys reading and (occasionally) running.